Having teased us at NAMM two years ago with a modular-style delay (code-named "Generalissimo"), Strymon have finally come out with a fully fledged offering in the same format. It’s still a delay, but it’s matured considerably to what can now be described as a four head Tape Delay and Looper. 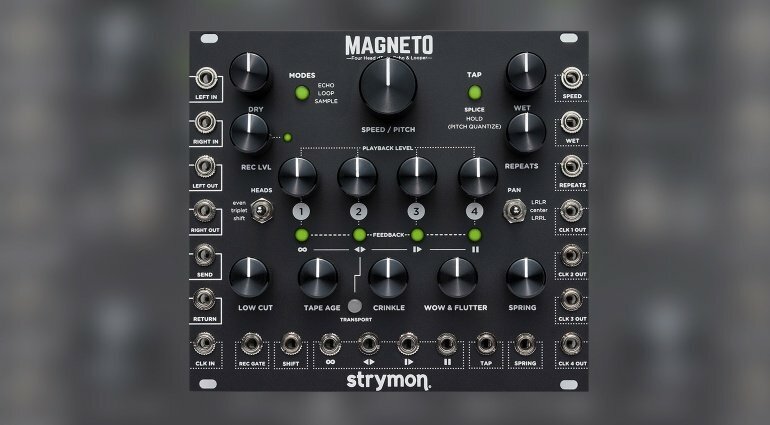 It is likely to get the modular synth community very excited as it delivers Strymon’s awesome time-based effects processing with a form factor that will sit, patchable, in the rack alongside the rest of the modules. We will have news of Magneto’s pricing and availability soon, follow us on Facebook & Twitter to be the first to find out.